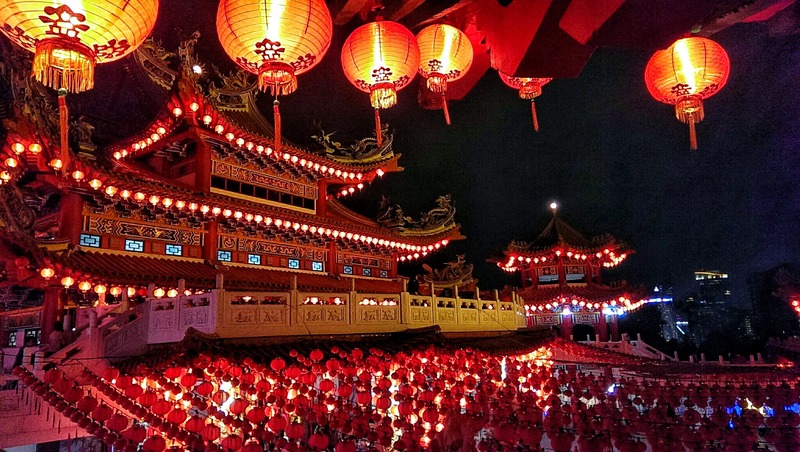 Thean Hou Temple is one of the largest temples in KL and during the Chinese new year it was quite spectacularly lit up with hundreds of lanterns. It really is impressive to look at, it’s built on hill so becomes even better once you go up a few flights of stairs and check out the view overlooking the city. Down at the bottom they had many specially crafted lanterns displays showing old stories and their important moral messages. Inside you’ll find people crowding around smaller shines to different gods such as love or prosperity etc. I chose to head over and pray to the God of love – Yue Xia Lao Ren. According to legend Lao draws people together with an invisible red thread that connects those who are destined to meet, regardless of time, place or circumstance. After you pray you can step up, make a donation and take a piece of red thread as a bracelet. 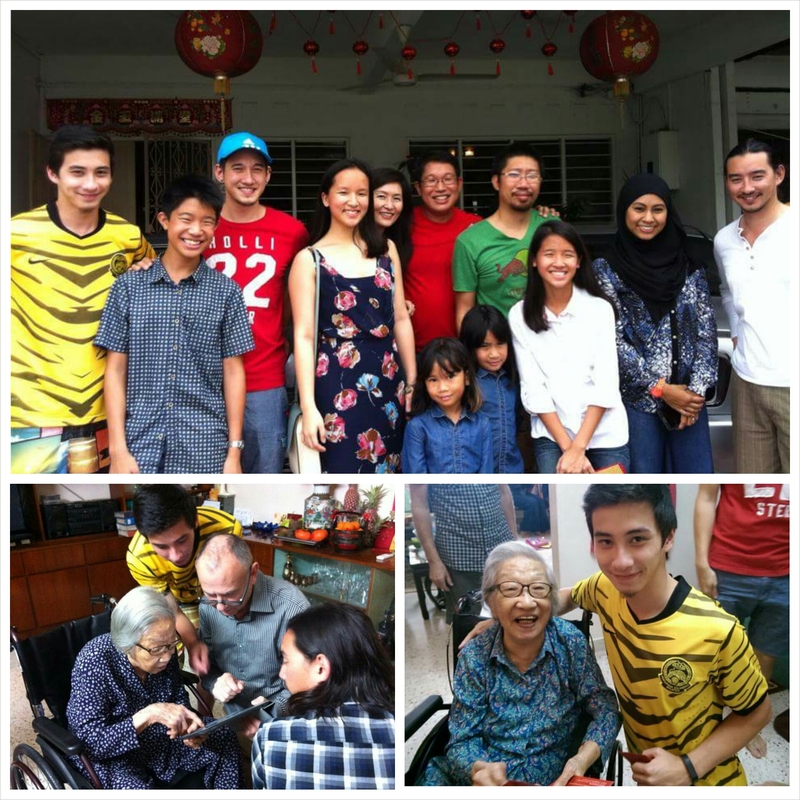 Well this is definitely my favourite Chinese new year celebration; for one we’ve made it to Malaysia and two we’ve got all the family together. Haven’t had this size reunion for around 10 years so you can imagine how many times I got the classic “aww when I saw you last, you were only thisssss tall!”. Well I can safely say I don’t think I can get any taller so there will be no chance of that happening next time. Since we have some new lil editions to the family looks like I can being the one doing it, maybe il evening throw in a cheek pinch to be the best annoying uncle haha. 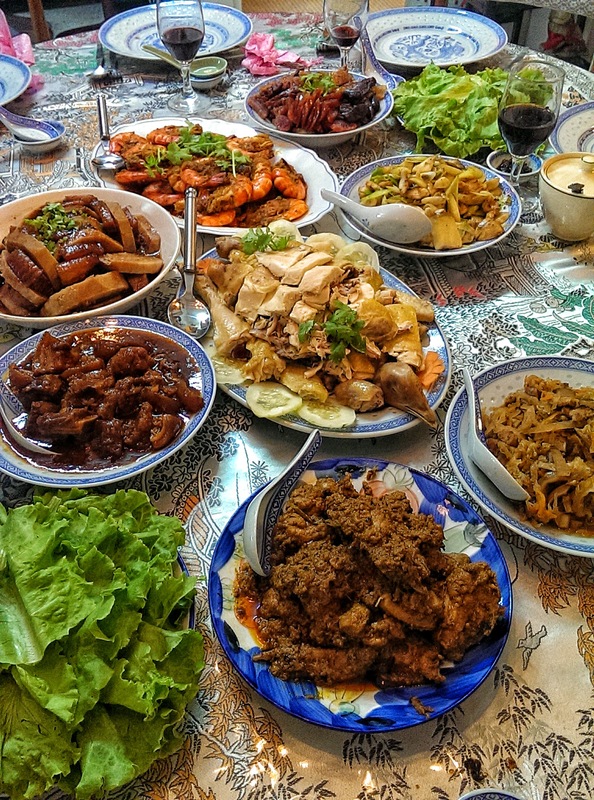 So as with most Asian traditions it’s revolves around the food and my auntie cooked up a feast of delicious dishes, look how many there are! 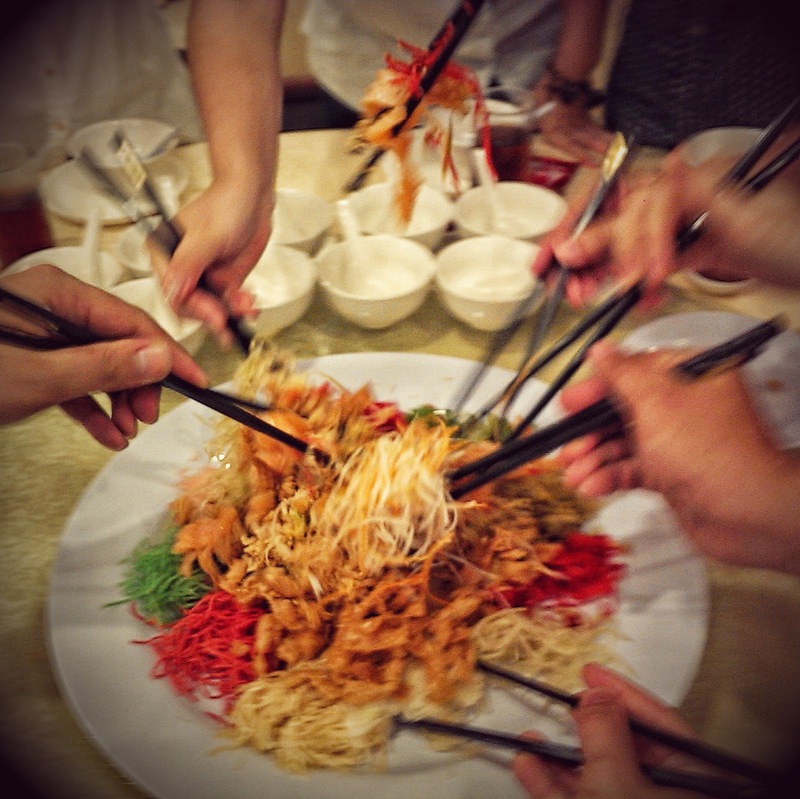 One of my favourite dishes is Yee Sang, it’s a kind of salad thats had before the meal. Everyone gets in with their chopsticks to mix it together and wish prosperous things upon each other and I’ve been told the higher you go the more prosperous it becomes! I do love to play with my food but it also tastes great too, it’s that cleansing citrus taste that means I’m usually the one scooping off the very last bits. I couldn’t exactly tell you wants in it other than shredded veg, salmon, grapefruit, sesame oil, syrup, then red bits, green bits, crispy bits and much more.. All about those crispy bits though! Mmm.